Hindu cave temples in India are holy spots were Supreme Truth manifested to save humanity and to reveal knowledge to free living beings from the cycle of birth and death. Many ancient seers of Hinduism attained self realization in these caves. These caves today house Swayambhu Murtis (images that appeared on its own) of gods in Hindu religion. Here are some of the popular cave temples in India. A natural ice Shivling gets formed in the holy cave of Amarnath. This wonder takes place at a narrow gorge in the Lidder valley in Anantnag District of Jammu and Kashmir – the cave Temple of Amarnath. The journey to Amarnath Cave is restricted to two months before Shravan Purnima (June – August). Vaishno Devi Ji Temple is located at Katra in Jammu and Kashmir and is visited annually by more than 5 million devotees. The temple is located on the folds Trikuta - a three-peaked mountain. The murti of Goddess Vaishnodevi is in the form of three natural rock formations. Today the original cave entrance is closed, as it is very narrow and cannot accommodate the volume of devotees. Some of the important cave temples here are the Kailashnatha Cave Temple dedicated to Shiva and the Dashavatara Cave Temple. These cave temples are located in Badami in Karnataka. There are four caves here. The first three caves are dedicated to murtis of Ganapati, Shiva, Vishnu, Nandi, Nagaraja, Harihara and various incarnations of Vishnu. Shivkhori is a famous cave temple dedicated to Shiva and is located in Reasi District in Jammu and Kashmir. This is a very long cave and entry is permitted only up to 130 meters. Rest part of the cave is unexplored as there is lack of oxygen. 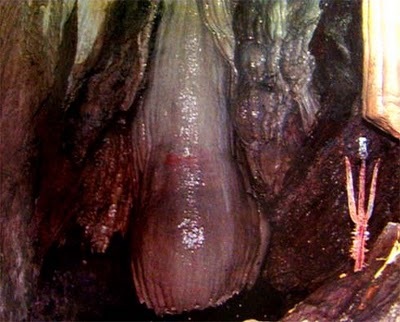 The cave has naturally formed Shivling and murtis of Goddess Parvati and Kartikeya. Narasimha Jhira Cave Temple is popularly known as the Jharani Narasimha Temple and is famous for a swayambhu Narasimha Murti. The temple in situated in a cave where the water runs up to 300 metres. One has to move through waist deep water to reach the feet of the murti. The temple is a kilometre from Bidar town in Karnataka. Naga Sadhus mediate here. There is a cave here associated to Parashuram. It is located a kilometre south of Pushkar in Rajasthan. Guha Ganapati Small Cave Shrines near Mookambika Temple in Karnataka.